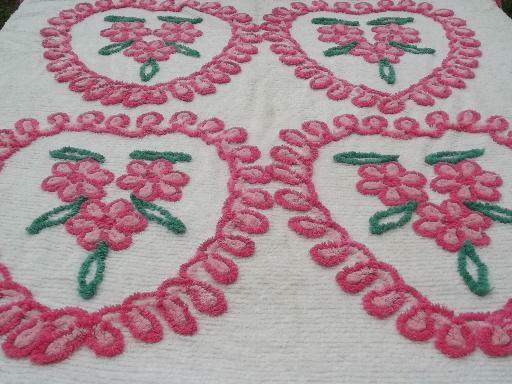 pink hearts vintage cotton chenille bedspread, chocolate box pretty! 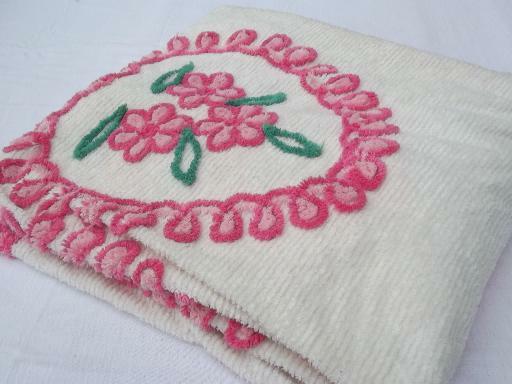 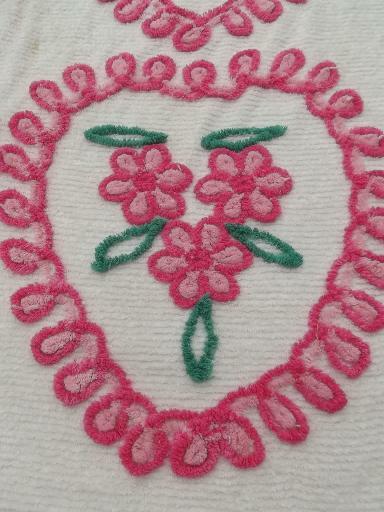 Valentine candy hearts and pink roses vintage cotton chenille bedspread, a little shabby, still very pretty! 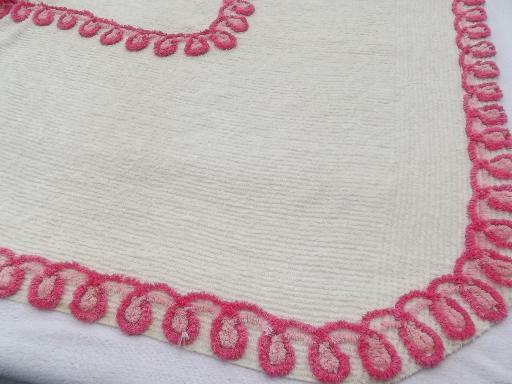 This does have thinning in areas and some chenille loss, but no rips or holes. 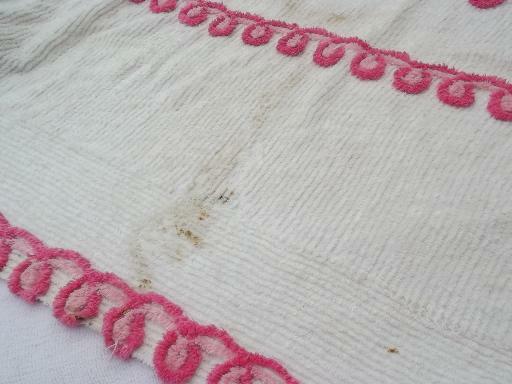 It's covered with large dirty streaks and soil marks, which look terrible but we'd expect would improve hugely if not disappear with a good soaking and washing (we haven't touched it, it's just as found from a rural estate here in Wisconsin). 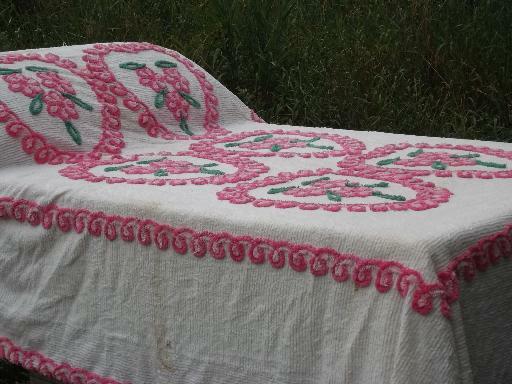 Measures 106" long x 84", double bed size or loads of lovely cutter fabric for your vintage sewing.